Your LOCAL choice for Agronomic Experience and Knowledge. 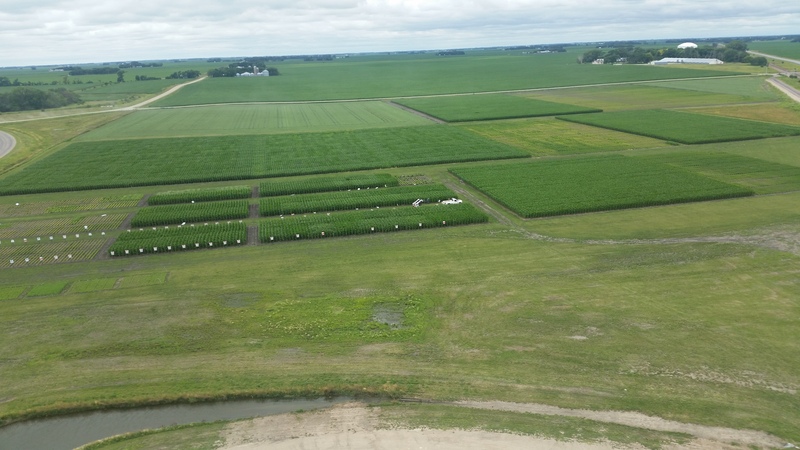 Come check out one of the largest Answer Plots in Minnesota. Winter Agronomy office hours 8:00 a.m. to 4:30 p.m. In order to assist our growers with on-farm liquid fertilizer products we would like to provide a way for our customers to own liquid fertilizer storage tanks. This program is designed as a partnership. We want our growers to have enough product on hand during the busy spring season; while minimizing our transportation time and costs. Glacial Plains Coop will deliver up to a 6,000-gallon- poly tank plumbed with a bottom bung and valve. The cost of this tank will be straight line depreciated over a 5-year period at the grower's expense. Glacial Plains Coop will purchase and deliver the tank. GPC will invoice the grower each year for 1/5th the cost of the tank. If a grower would like to buy out the tank they may do so based on the number of years remaining on the contract. Example: Tank cost is $3,000. 5-year straight rate is $600/year. Cost to buy out after 2-years use would be $1,800. Glacial Plains Coop is open to helping growers determine what additional pumps, meters or plumbing they may need; but this additional equipment would be at the grower's expense. We would invoice the equipment under normal invoicing terms, or financing program. 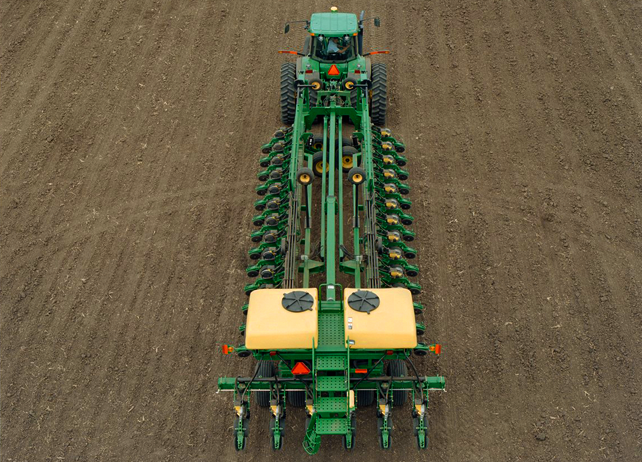 The grower agrees to purchase his liquid starter and side-dress fertilizer from Glacial Plains Coop for 5 planting seasons. 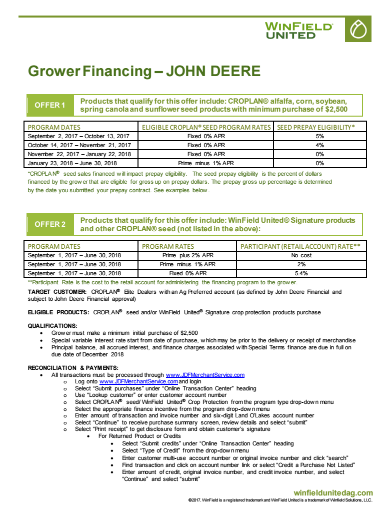 If grower does not purchase his liquid fertilizer needs from GPC this contract is due and payable in full for any remaining balance. The grower is responsible for any damage to the tank until this contract expires. The grower is responsible for any crop injury caused by cross contamination issues. The grower is responsible for all equipment maintenance; including winterizing pumps, meters, and plumbing. Call Glacial Plains Cooperative at 320-875-2810 Murdock, 320-843-4820 Benson, 320-843-3949 Clontarf for any further questions or details. Are you currently treating your soybeans? Have you ever weighed out the pros of putting a seed treatment on your soybeans if not treating them? 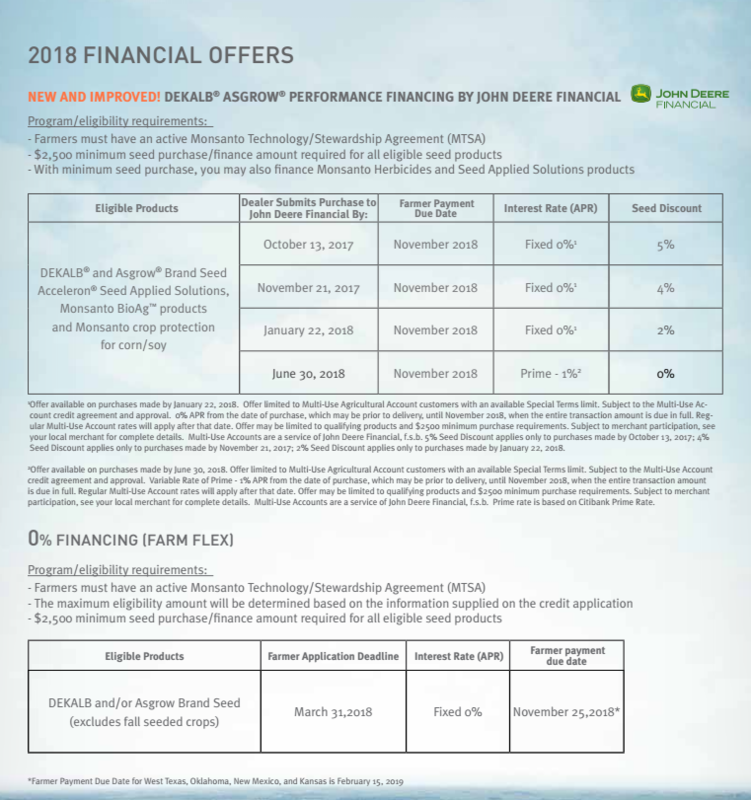 These are a couple questions to get the ball rolling in your mind about the true advantages of treating your soybeans. We all can remember what last year was like with yet another late planting season, followed by what seemed to be an abnormal fall harvest season. That being said, there is a lot of hype in the industry about sub normal germination of seed beans in our area. All of the soybeans GPC will have met the standard on a germ test, but instead of being ninety to ninety five percent germ, most will be more in the mid to upper eighty percent germ. In thinking of the last few (WET,COLD) springs we have had and the very good possibility of another, this year may be the year to think long and hard of protecting your beans with a treatment. University studies have shown that in warm planting conditions, you can improve stands by 5% and in cooler planting conditions, you can improve stands by 20%. Say we plant at 140,000 plants per acre and our final stand without treatment is 120,000 plants per acre. If we figure the cooler scenario of gaining 20% in population, that would bring us up to 124,000 plants per acre. Now, one might say that 4,000 plants per acre wouldn’t make much of a difference but if you do the math, it does. Lets say we have an average of 24 pods per plant and 2.5 seeds per pod which I think is getting as close as we can to what we may see out in the field in an average growing season. So we would take 4,000 plants X 24 pods/plant X 2.5 seeds/pod to get 240,000 total soybeans. Then we take 240,000 beans divided by 2,500 seeds/lb. divided by 60 lb./bushel to get 1.6 bushels more on treated vs. non-treated soybeans. Dec.19 soybeans are $8.65 X 1.6 bushel to get $13.84 advantage per acre. At GPC we use a treatment called Warden CX which we feel is a great seed treatment not only because it has proved itself in the industry, but because it has higher rates than any other treatment of Mefenoxam which aids in Pythium and Phytophthora control. Those two diseases alone account for a major part of soybean stand loss and is why we feel it is a great product. Getting back to cost, Warden CX for In Season use will be approximately $11.79/unit treated. That leaves you with just over $2 an acre in your pocket for treating your soybeans. It may seem like a large up-front cost but if it helps you from loosing plant stand and gets you a return on the back side, to me that is a good investment made. In conclusion I would say with below normal germination scores and the possibility of another later spring, this may be the year to again treat or try out treating your soybeans. As seen in the picture above, if we happen to get a stand below 90,000 plants per acre, you fall right off the yield cliff and it can be quite detrimental. 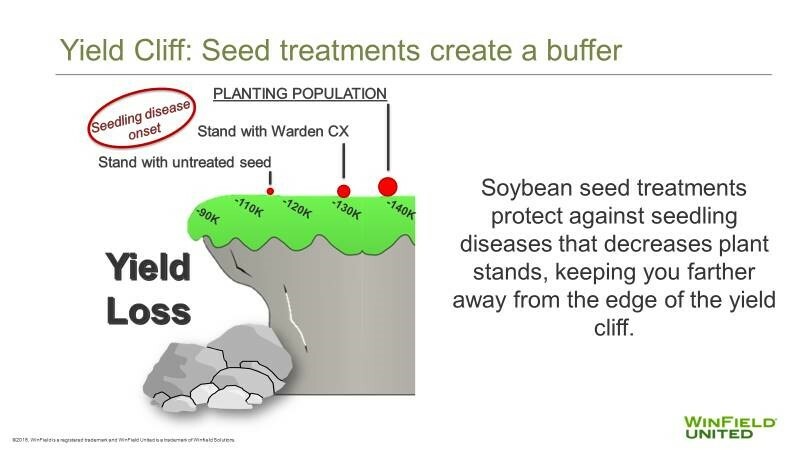 As you add a treatment like Warden CX, you pull yourself further away from that cliff to gain and keep more yield. Sometimes putting it into an illustration like this can better help us understand and visualize the positives of not only seed treatments but many other plant health/yield aiding products in our industry. If you have any questions regarding seed treatments please call any one of our agronomy locations in Clontarf, Benson or Murdock and we would be glad to help and answer your questions. Don’t forget to mention Clariva for cyst nematode protection or Vault HP to inoculate your soybeans, especially if being grown after continuous years of corn. As always we appreciate and value your business and look forward to serving you in the 2019 growing season. Even though snow is predicted this week, field work will begin soon. If you would like to take delivery of your starter fertilizer so you are ready when that day arrives give your sales rep a call to plan delivery. Due to liability concerns, Glacial Plains Cooperative Agronomy departments in Murdock, Benson and Clontarf, will no longer be lending out pumps and hoses for chemical cage totes. Some used pumps will be available to buy at our sites until sold out. New pumps can be purchased from Abner Sales and Service located in Benson, MN or a place of your choice. Approved chemical totes with pumps will be available in limited supply for most of our bulk products at all three locations. Thank you for your continued support of your cooperative. allows us to have product on hand for in season orders. If you would like Glacial Plains Coop to soil test for you give us a call at 320-875-2810. Keep us in mind for all your financial needs. This article was send to us thru an email. 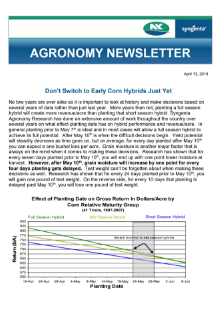 It is good information regarding planting days. Click for full article. Thanks to all of our customers for your continued support and business. If you have any questions or concerns feel free to give any of our agronomy sales staff a call. We would be glad to help you succeed this year.